St Martha’s church (Santa Marta), built in the seventeenth century, has been refurbished to house the Passion museum. This charming building of great architectural interest can once again be visited. The carved wooden choir stalls (especially the prior’s throne) and two beautifully restored fine seventeenth century paintings (one signed by the Roman painter Girolamo Marinelli) are of particular interest. 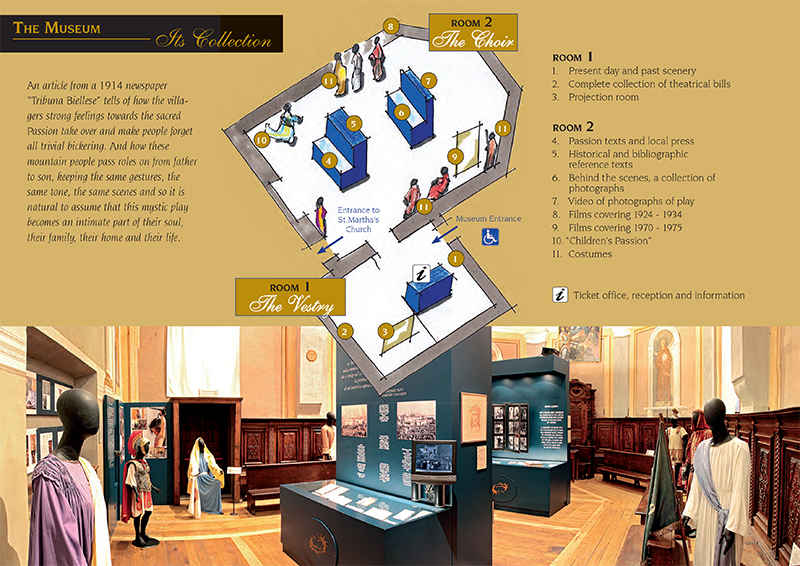 Entrance to the museum includes a visit of Santa Marta Church. The museum was opened in 2005. In 2010 the display was renewed to do justice to the many exhibits that illustrate the glorious past of Sordevolo’s Passion. “A museum of people and lives, not just exhibits and roles.” The objects on display bring the history of the people to life. 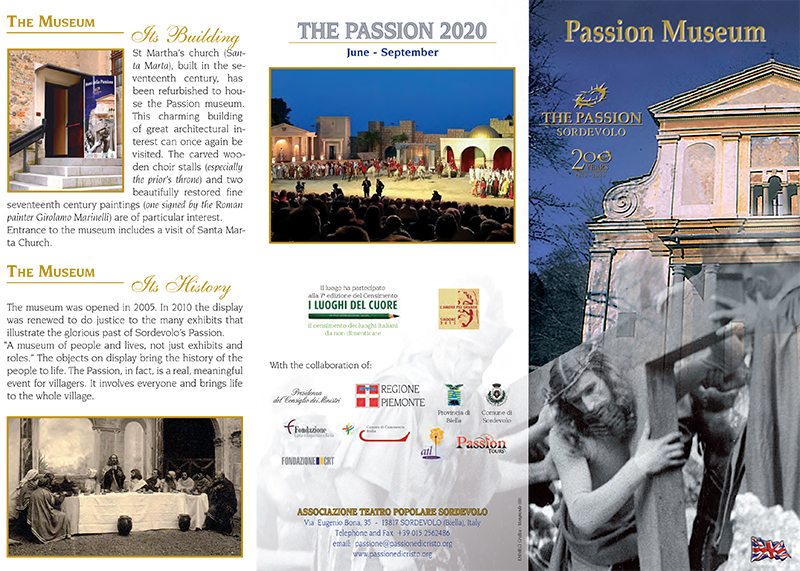 The Passion, in fact, is a real, meaningful event for villagers. It involves everyone and brings life to the whole village.